I thought you might be interested in the following event. The Africa Centre is proud to present its 2nd Annual Summer Festival. 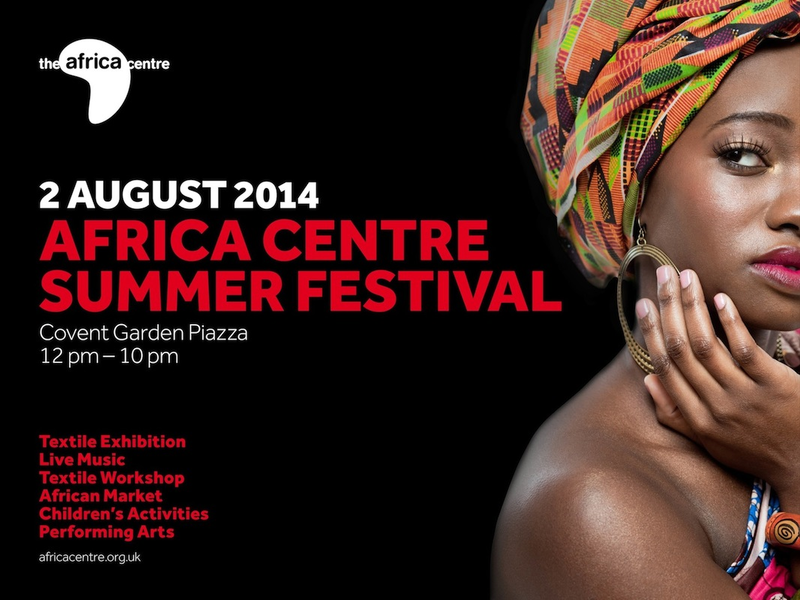 The Africa Centre's 2nd Annual Summer Festival. The centrepiece of the festival will be an inspiring programme, curated by Magie Relph of the African Fabric Shop and advised by Chris Spring, Curator of the African Collection at the British Museum, showcasing the rich tapestry of African textiles in all their beauty and diversity which will engage, inspire and fascinate you. Learn how to make your own Africa-inspired textiles at our craft workshops or take home a memento from our African craft stalls in Covent Garden’s Piazza. The day will give you an opportunity to see, touch, hear and taste the best that contemporary Africa has to offer. Feel the energy of Africa through vibrant dance and acrobatic performances. Have fun for all the family with African face and mask painting. Move to the beat of Africa with live music, drummers and DJs. Savour the flavour of Africa with authentic cuisine. Join us in celebrating the vibrancy, creativity and sheer joy of contemporary fabrics from all over Africa. For more information please visit africacentre.org.uk or follow them on Twitter and Facebook. AfroDeity Ltd. Powered by Blogger. 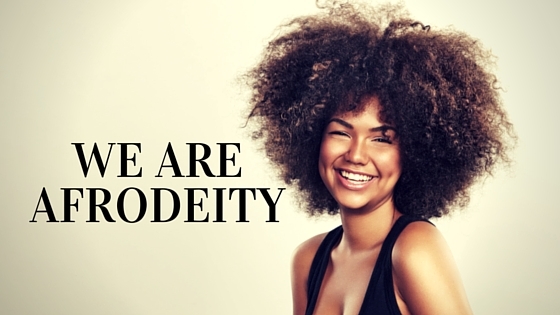 We are AfroDeityAfroDeity was started by a scientist, entrepreneur, mum and proud geek. This blog started a record of her hair journey and a resource to help others find out more about themselves and their natural hair. Over the years it has transformed into a resource for hair, skin, fitness and healthy eating. Read on whether you are relaxed or natural, from the UK, Europe or further. The owner of AfroDeity will not be liable for any errors or omissions in this information nor for the availability of this information. The owner will not be liable for any losses, injuries, or damages from the display or use of this information. Any views or opinions represented in this blog are personal and belong solely to the blog owner and do not represent those of people, institutions or organisations that the owner may or may not be associated with in professional or personal capacity, unless explicitly stated. Any views or opinions are not intended to malign any religion, ethnic group, club, organisation, company, or individual.